I have simple tastes when it comes to food, especially lunch. 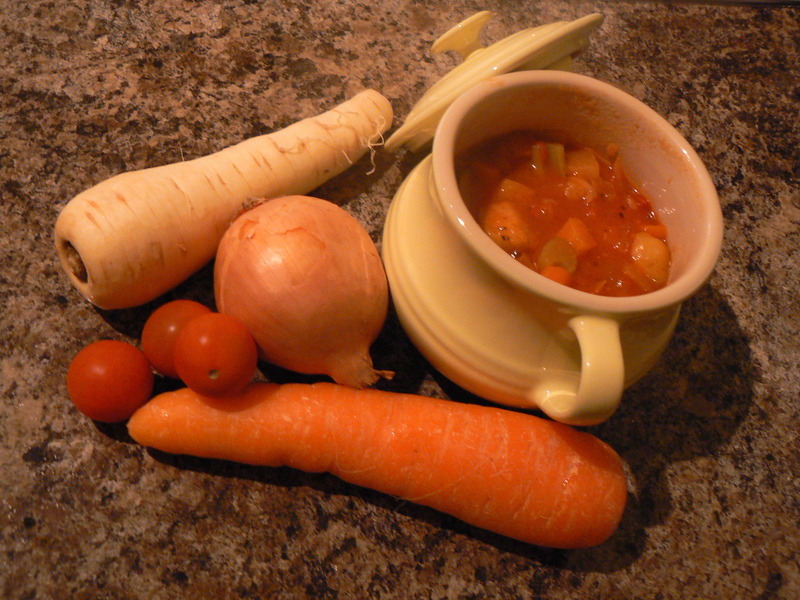 In winter there is nothing better than home-made soup and crusty bread with lots of butter. I think the best lunches I ever had were on holidays travelling in France. It was such a treat to buy wines, cheeses, French breads, and wonderful cakes from the patisserie. 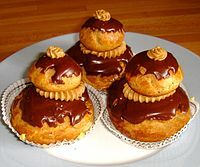 My favourite cakes were called “Religieuse” as they look like a nun in her habit. They are usually made of choux pastry filled with the most delicious cream and covered with ganache. A bit like an éclair, they are usually coffee or chocolate flavour they are simply the best cake ever. A picnic by a river in France is my idea of heaven, especially if it is near the Pyrenees! Today I got a photo of my son enjoying a pint. His term is over and holidays are just beginning. Tomorrow he sets off for Bali in Indonesia for a friend’s wedding. Happy days. This entry was posted in Haiku, Travelogue and tagged Haiku. Bookmark the permalink. These are wonderful, and the pictures are glorious. Thank you x lovely comment has made my day! Ha ha x do you have a favourite cake from home? Super, order some sun while you are at it! I suppose it isn’t too strange to think of eating up a nun when one eats God on Sunday. The nun looks tastier. ;-)) I like all of these, They are very real and alive. Yikes! I hope it doesn’t offend anyone. 😉 all the best. OK, I’m drooling now… I can’t wait till I arrive in France! Oh indeed they are x once tasted never forgotten!